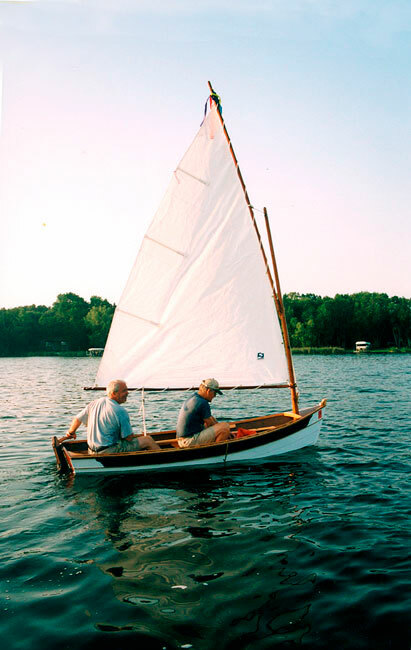 Tom Wignall of Lakeville, MN is seen here sailing his new Arch Davis Sand Dollar design BAY DAWG on Pelican Lake in Breezy Point, MN. BAY DAWG, launched in June 2002, is 11'6" with a 42" beam. He constructed her with mahogany planking on oak and cedar frames, covered with System 3 epoxy.